“I” in Iaido stands for the existence of the body as well as the mind. “DO” means the way and relates to the way of learning and understanding. 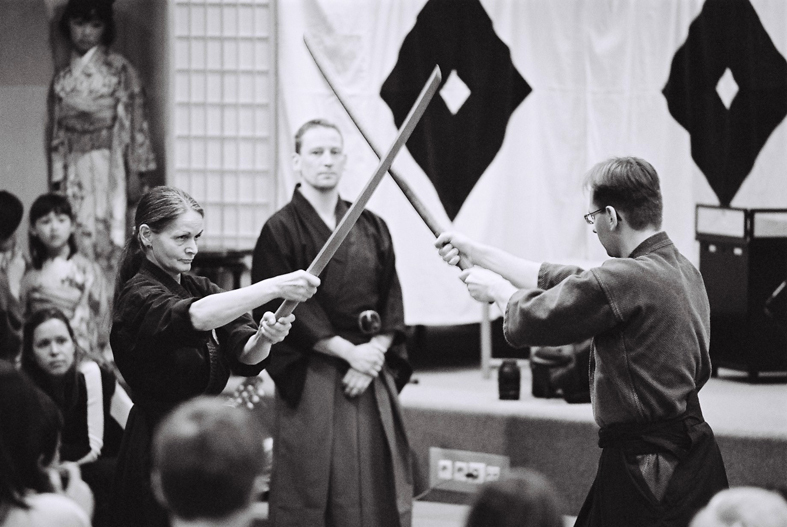 The mental attitude is the underlying secret of Iaido and almost more important than the physical fitness, which is the reason why this martial art is well suited to even start at an older age. 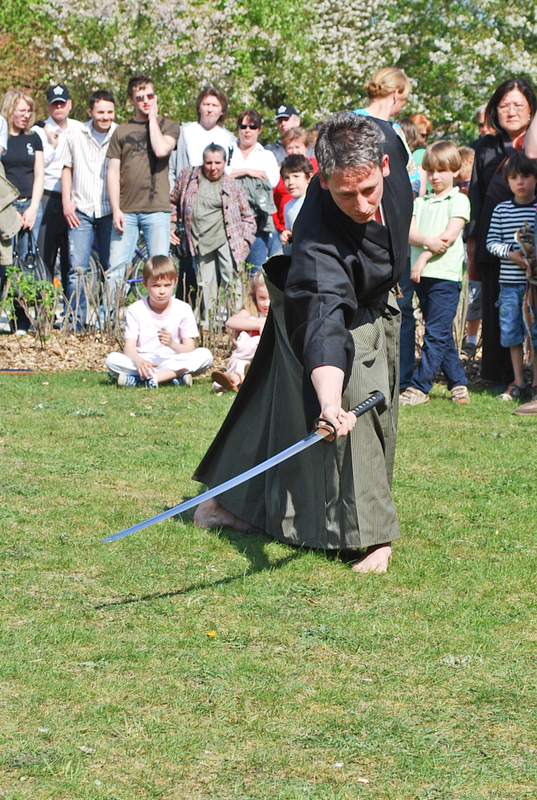 One of the central ideas of Iaido is to cut down the opponent with one single strike after discovering him. In this way one develops a system to react to many different attacks very effectively with the sheathed sword. 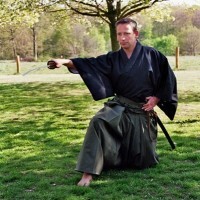 The basic idea of Iaido is to strike down the opponent with one stroke after discovering him. To achieve this goal a system was developed guaranteeing the most effective reaction with the sword in the cases of various attacks and under different circumstances. 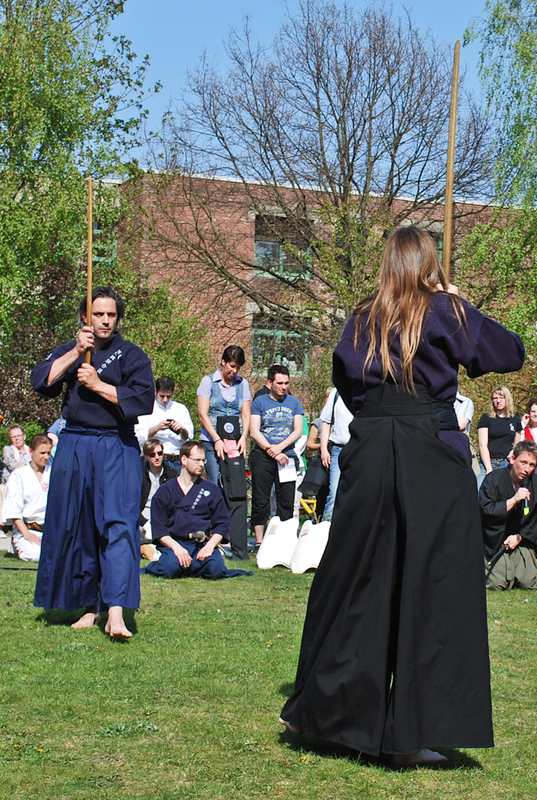 Training Iaido requires a calm mind, strong concentration and the right mental and spiritual attitude. The secret of Iaido is to assess a situation, strike down the opponent, do all this out of a clear mind and calm spirit and return to this attitude of mind. The sword reflects the calmness of the soul. Japan has a long military history, which cannot be imagined without the sword and the development of martial arts. The development of the sword dates back over 2000years. One of the earliest blades was called “chukuto” or “upright straight sword”, since the blade was not curved. Only around 700 A.D. did a smith named Amakuni discovered that a curved blade was a lot easier to draw although it was still quite a long sword called “taichi”. It was the right weapon for people fighting from horseback, not, however, for soldiers on foot. The “katana” used today was only developed later. 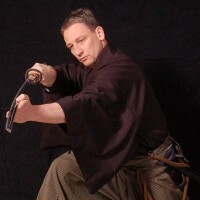 That is why the “katana”, in use today, was only developed later. 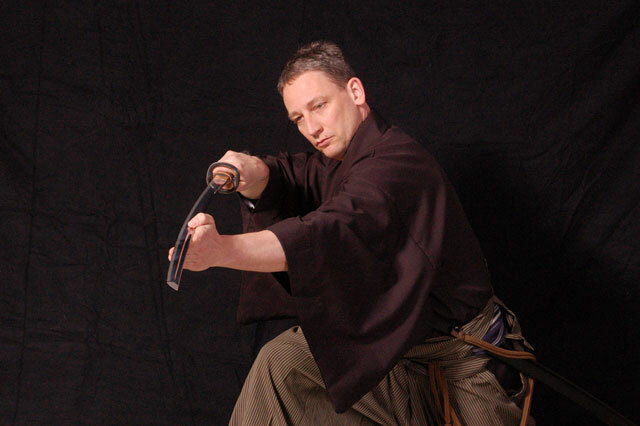 The “shinken” or “katana”, used in Iaido nowadays, may well be the most prestigious forged weapon worldwide. The samurai were very often involved in individual skismishes; that is why the systems of sword fighting were developed throughout the centuries. The first to develop a system of teaching and training in Iaido was Hayashizaki Jinsuke Minamoto Shigenobu (1546-1621), the founder of Sigenobu ryu. This style developed into Muso Jikiden Eishin ryu and Muso Shinden ryu, which are practiced today. At the end of the last century, after the Meiji Restauration (1868), sword fighting lost its importance, since the public wearing of swords was no longer permitted and the warrior class abolished. And yet, the original arts of Iaijutsu, Kenjutsu or Batto jutsu were taught in individual schools. Sword fighting having lost its practical use, and the spiritual aspect of Zen gaining more and more relevance, the art was renamed as Iaido after World War II, during the time when the practice of martial arts was forbidden by the Americans. 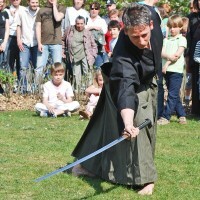 The term “jutsu” (technique) was replaced by “do” (way) to emphasize the present peaceful background to this unique martial art. 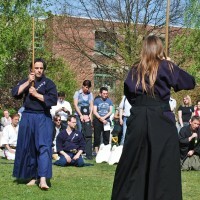 Thus, today, Iaido is a way of human perfection and not a technique for military conflicts. 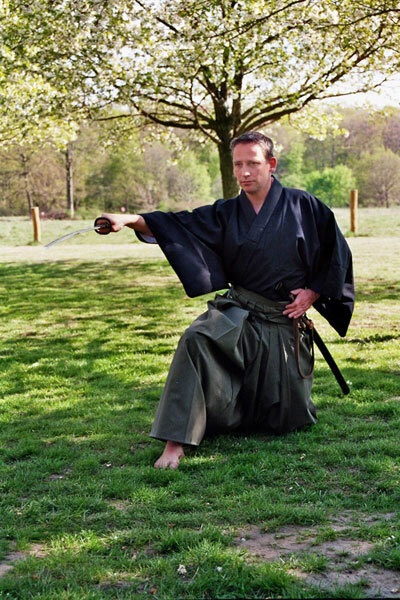 In the Shindo Dojo Musso Jikiden Eishin ryu is taught by Olaf lotze-Leoni currently holding 4.Dan in Iaido. 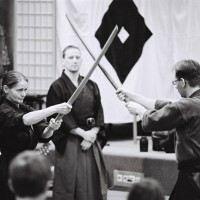 Iaido in the Shindo Dojo is authentic Iaido as taught in Japan and it is the only Dojo in the greater region of Hanover which offers this style of Iaido. If you are interested you are very welcome to try this classic way of budo. Please see our timetable for training times.